Porcelain tile flooring is one of the most durable flooring options. Call The Carpet Tree Inc in Jacksonville, FL and learn more about installing porcelain flooring in your home or business. If you're looking for a high-quality and long-lasting flooring option, porcelain tile flooring may be just what you need. Available in a variety of patterns, colors, and styles, porcelain floors can withstand heavy foot traffic and maintain their beauty for decades. The Carpet Tree Inc is the Jacksonville, FL premier source for flooring, including high-quality porcelain tile. Stop by our store in Jacksonville, FL to see our large variety of porcelain flooring samples, and enjoy a free consultation with one of our flooring experts. We're looking forward to serving you! 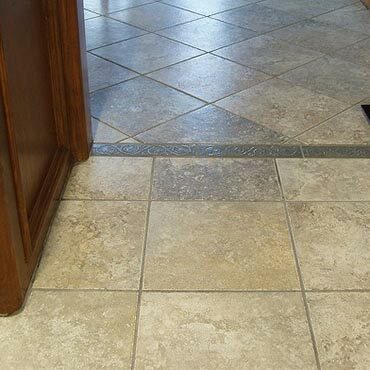 To get the most out of your tile flooring investment, consult a flooring installation company to skillfully measure, install, and trim your new porcelain floor. To learn more about how porcelain flooring can work for your project, contact the flooring experts at The Carpet Tree Inc or stop by our showroom in Jacksonville, FL for a free consultation!